However, I do know the importance of feeling loved, companionship and showing your heart to others. And after all that hurt I’ve experienced with the friendship stories mentioned above, I’ve finally figured out the key to keeping friends as an adult. It’s really quite simple and in true adult fashion, we’ve found a way to make it complicated. See, it all comes down to a text. Nobody wants to walk through life alone – even if you don’t ever want to get married or have kids. Yet, that’s how it often feels sometimes. In the chaos of making meal plans, going to work, cleaning the vents, working out, volunteering, balancing budgets, keeping up with hobbies, folding laundry, bathing the kids, and showing affection to your spouse, reaching out to your friends slips through the cracks. It happens to everyone and it doesn’t make you a bad person. Simply put, life happens. However, one text can change it all. That one “hey, I was thinking about you. How are you?,” text can be the difference between having a friend with a deep connection and an acquaintance that quickly fades out of your life. Yet, so many of us ignore and dismiss it’s significance. We all know what it’s like to have the passing thought, “I haven’t spoken to my old colleague in a while. I should call her,” and then getting lost in cooking dinner and helping kids with homework before even picking up the phone. It happens over and over again and the next thing you know you haven’t spoken to that colleague in weeks. Weeks turn into months and months turn into years. Before you know it, you’ve lost a good friend. Had you just sent a text the moment your friend first entered your mind, there’s a chance the friendship wouldn’t fizzle and the bond would still be intact. Though brief that simple text does so many things. It helps your friends feel loved. 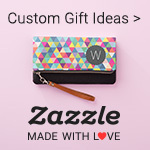 It lets your friends know you care, available when needed and that she matters in your life. Though, I’ve never had a best friend I’ve found that much like parenthood, 90 percent of friendship is just being there. Sure you may not be perfect, struggle with picking a movie to watch together and sharing the appetizers equally but you are there when it matters most. I understand that it’s not always possible to be available for every birthday, wedding, wine down Wednesday, and baby shower. But that “how are you doing?” text lets friends know that you are present anyway. Should you be the recipient of said text, responding truthfully is all that’s required of you to keep that friendship alive. So if your friend asks how you are doing and you say, “Fine” even though you are not fine, you become part of the problem. Tell her the truth. Or if your friend texts “Hope all is well” and you know things are better than well, share because that’s what friendship is. Friendship is maintained by reaching out randomly and responding truthfully to keep that connection going. But what about the friends who disappear and won’t send that text? Should that person who you called a friend suddenly ghost on you, I urge you to not take it personally. Every now and then, people go through a personal journey that requires isolation. Rarely is it about you. Instead of cutting that person off because you feel she’s gone inexplicably absent, be the person to reach out first through text. Maybe she’s dealing with mental health issues, a period of discovery or even a divorce that can make her closed off. Sometimes friends go through things that are intended to be walked alone. Instead of taking it personally, be a good friend and send that reminder that you’re always walking behind them. Luckily, sometimes all you need is the brief text to drive that sentiment home. That’s it people. Keeping friends as an adult all comes down to one text. How have you managed to keep friends as an adult? TERRIfic Quip – Find your tribe and love them hard. Great post! You are right. So many times, I have found that a lot of people around me are just hungry not only for attention, but someone who will truly care about and make some investment in them and their lives. This is what I aim to do in my relationships. Exactly! Finding people to be friends with is the easy part. Follow up takes more effort, but the key is to do it soon as the friend enters your mind. That way you don’t forget aka send that text right away! This is an awesome topic. I don’t have many friends, however, I do have a best friend that I have been friends with since 5th grade. We don’t see each other often and we don’t talk every day. However, whenever someone needs to chat we’re always there for each other and whenever we do get together we have a blast. Just checking in once in a while is the key to retaining friends as an adult. Whether its sending a how you been text or commenting on one of their statuses on social media. This right here is just so real! I’ve been realizing that as an adult more and more, to have good friends, you have to be a good friend. Great advice! You’re right, friendship is a two way street. But we have to be the friend we ourselves would want too. I think it’s a great idea to send random texts to our friends to let them know we’re thinking about them and that we care. I met one of my best friends around age 33. I am about to be 39. It was effortless, we just clicked and started chatting, then started hanging out, then became our go-to person for one another. She came into my life at the perfect time. I did think I would still make such close friends in my 30’s. Love this! 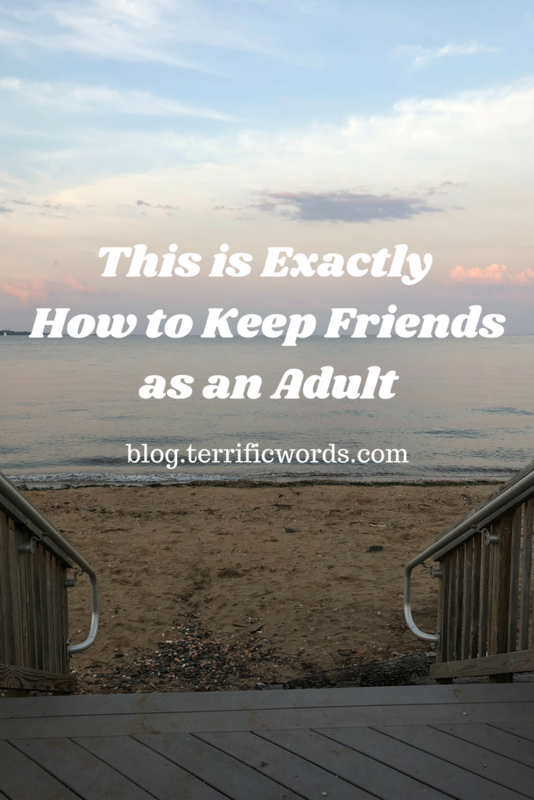 Keeping friends as an adult is hard! The text idea is so cute and easy! Unfortunately, the keys to having a friend don’t work if the other person is not willing to be a friend. It is work. All relationships are. Im sorry you have had these issues with other friendships tho. I really hope your friends now come thru and be a good friend to you, and you to them. Such wise words, I need to revisit this often. We tend to take things so personal when we don’t get what we want from friends. I think I’m getting better with age though. Man this is So on point! Sometimes certain people are in your life for a season, and I’ve come to realize I can’t take it personally if someone’s journey doesn’t include me anymore. It may be what’s necessary for us both to grow on our paths. You’re right! I’ve Never been one to reach out often! I’m getting better as I grow older but Im comfortable with being alone. When I’m ready to talk, I’m ready and I will reach out…no love lost! I’m learning to reach out more and to just show that I care…it goes a long way. Friendships change and adapt so much over time! I’ve made some great friends in my adult life and yes to checking in. I am a texter. One of my newest friends is totally a caller and I actually have grown to love those phone calls. Adult friendships matter and like anything else they require work and nurturing. It’s funny you say that, because I’m actually a caller. There’s just something about hearing another voice. But I realize that most of society are texters so I try to follow suit sometimes. Otherwise, I’d never communicate with some people. This is an awesome topic. I’m 45 years old and from the era of calling and seeing each other to stay in touch. However, this day in age, there are many different ways to coommunicate and keeping in contact. I have been able to maintain friendships as an adult but I am closest to the ones who I met before cell phones/texting. I’m so glad that texting is a thing because it’s a quick way to let someone know you are thinking of them. We are all so busy but we can easily let friends know they are on our mind without having to spend a long time on the phone. Keeping childhood friends can be tough. Everyone now has lives of their own and people often grow apart. My closest friends now are people I have met later in life. Yes, most of my friends now are those who I’ve met in the last few years. And few are people I knew in college and just reconnected with. Love this! Adults are always saying no new friends I’m open to the possibility you never know who you’re going to meet. As we get older I find it’s harder to keep friends who are in the same space-mindset. But I do have a handful that I make an effort to check in.